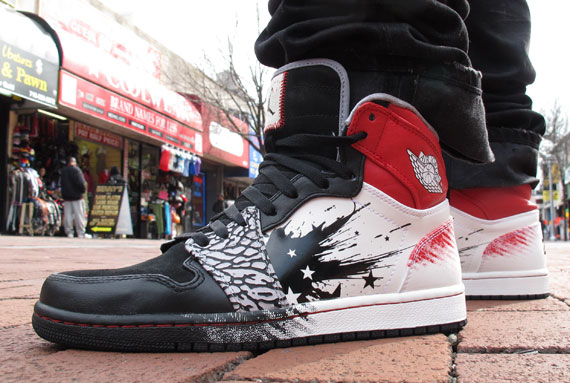 The Dave White x Air Jordan 1 first released on February 11th as part of the biggest release day ever. 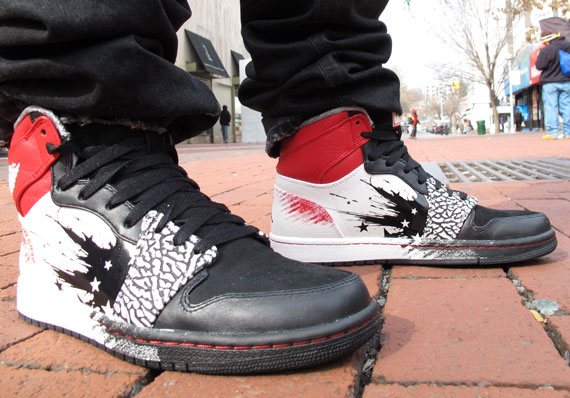 Jordan Brand did, however, confirm a second wave of releases for the Dave Whites for the All-Star Weekend, and not surprisingly, it played a part in history again as this past week was one of the craziest sneaker release weeks we’ve ever seen. 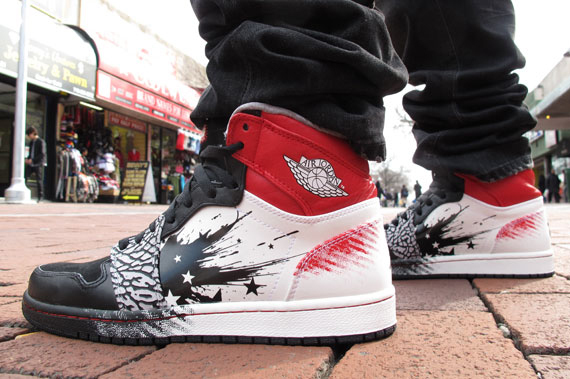 The Dave White x Air Jordan 1 is truly unique for quite a number of reasons that we’ve discussed before, but the most eye-catching part of the sneaker was that Dave White designed the Air Jordan 1 without the Swoosh! 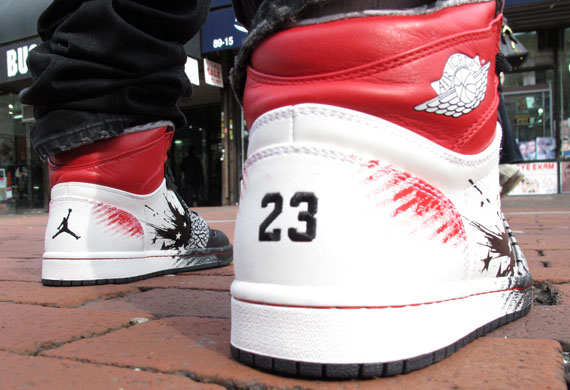 He calls that move as one of the coolest part of the collaborative process, and tomorrow will be the second and likely final chance to cop ’em as they will be hit select Jordan Brand retailers like Moe’s Sneaker Spot once again. 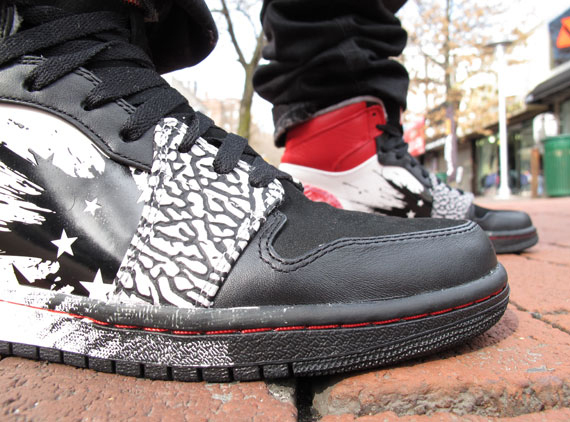 We’ve got a nice set of ‘on-feet’ images for you below so take a look and cop one of the available pairs right now on eBay.